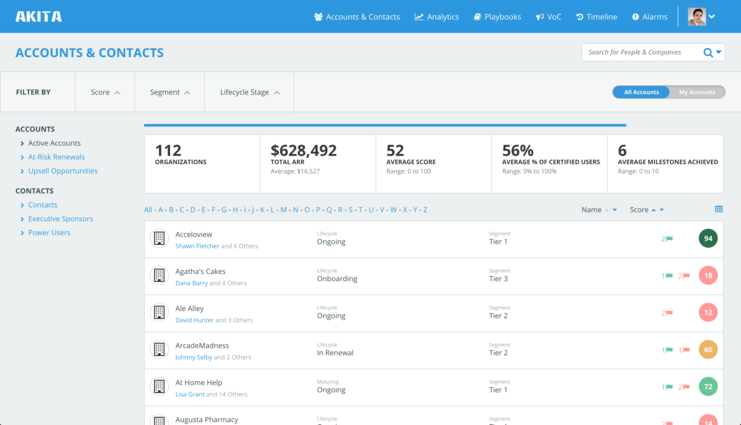 Akita is a Customer Success Management platform that helps businesses retain their existing customers and grow revenue from their existing accounts. 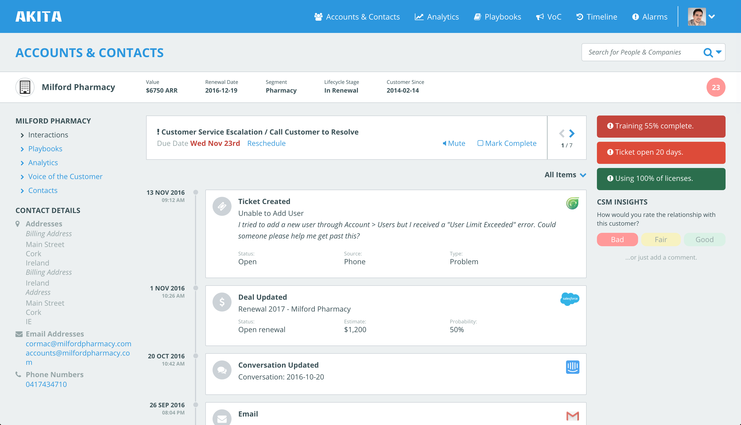 Akita is a Customer Success Management platform that helps you retain your customers and grow revenue from existing accounts. 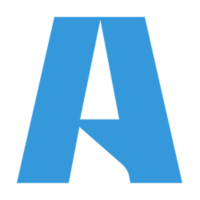 Akita is available on the web, iOS, and Android. 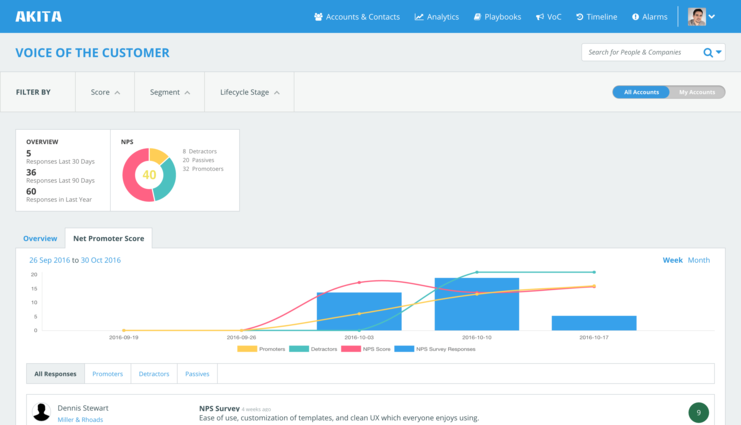 A Chrome browser extension brings customer data into commonly used apps. 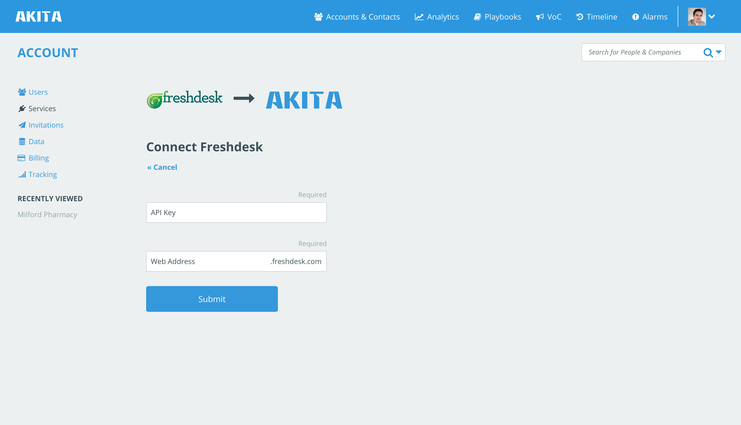 To connect your Freshdesk account, Akita requires your API Key and your unique Freshdesk URL. * Browse to your unique FreshDesk URL. 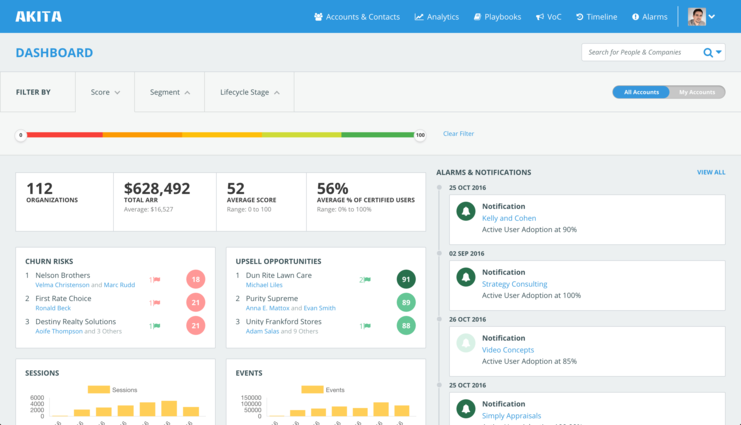 * Sign in to your FreshDesk account using your email address and password. * Click on your profile picture on the top right corner of your portal. * Go to Profile settings Page. * Your API key will be available below the change password section to your right. To complete the integration, visit your "Account / Services" page in the Akita application. Click "Connect Service" and follow the instructions to complete the integration. You will be prompted to provide the information above.